A pingueculum is a yellowish patch on the white (sclera) of the eye. Found between the eyelids, it is most often on the nasal side (closest to the nose), but can be found on the temporal (closest to the ear) side. Pingueculum are not cancer. It is a sun-related alteration of the normal conjunctival tissue. Pingueculum with thickness: Note the lack of intrinsic vascularity or corneal extension. Pingueculum are usually visible, found on the surface of the eyeball, between the eyelids. They can become a cosmetic problem, rarely become inflammed, irritated and red. When this happens, the patient may have a feeling like there is something (a foreign body) on the eye. Pingueculum can become thickened. But, it should not have prominent or corkscrew-shaped blood vessels (within the tumor), nor should the pingueculum extend onto the cornea. An eye care professional can diagnose a pingueculum by clinical “slit-lamp” examination. 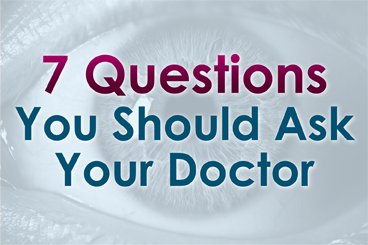 Eye care professionals typically leave pinguecula alone. If it becomes irritated, it can be treated with a topical non-steroidal or steroid eye drop. Artificial tears are also helpful. Surgery is reserved for atypical pingueculum or when another “cancerous” diagnosis is suspected.